Let’s say you want to learn how a particular DNA sequence variant affects different genes. You could painstakingly introduce the variant, and monitor its effect, gene by gene. How tedious. Alternatively, you could adapt a technique that has been used to assess genetic knockdowns genome wide. 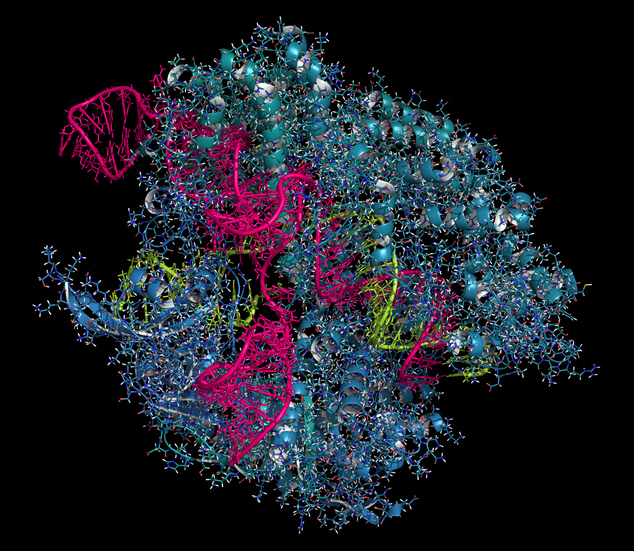 This technique is a library-based technique in which many RNAs are used to guide the DNA-snip-inducing Cas9 molecule to its gene targets. To date, the technique has been used to introduce gene-inactivating snips, that is, snips that result in faulty DNA repair via nonhomologous end joining. In a new paper, however, the technique has been modified so that it can be used to introduce particular DNA sequences, or patches. The paper is entitled “Highly parallel genome variant engineering with CRISPR-Cas9,” and it appeared April 9 in Nature Genetics. According to this paper, which was prepared by scientists based at the University of California, Los Angeles, a library-based approach can allow highly efficient and precise genome-wide variant engineering. The UCLA investigators developed a method that physically connected thousands of guides to their partner patches, allowing a perfectly matched set to be delivered to each cell. To test the approach, Drs. Kruglyak and Sadhu studied a class of genetic mutations suspected to be harmful to cells. The investigators performed the experiment in yeast, which lends itself well to large-scale studies of CRISPR. Cellular changes in response to gene alterations happen quickly in yeast and are easy to observe. After growing millions of yeast cells inside a flask of fluid, the scientists used CRISPR to deliver a customized set of paired guides and patches to each cell, exploring the effects of roughly 10,000 distinct mutations simultaneously. Each guide and patch instructed CRISPR where to snip the gene and what edit to introduce. After four days, the team identified which cells died or survived.